Heads up, job seekers: Here's your opportunity to kick-start a great new career in the building and construction trades. 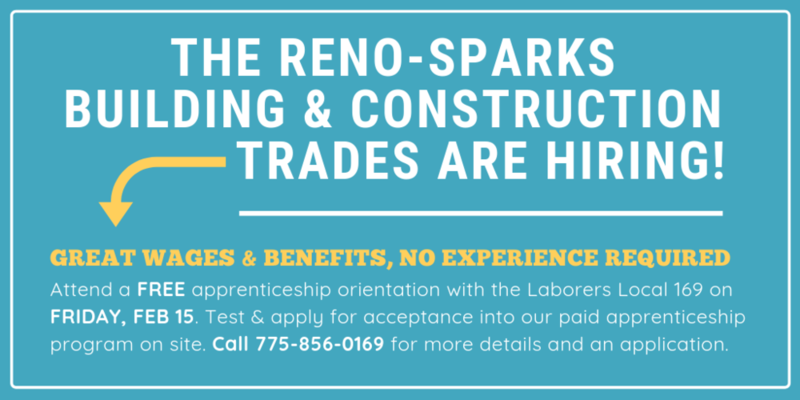 Paid training, good wages and benefits, and an awesome group of people to work with on interesting projects around Reno-Sparks. Stop by 570 Reactor Way in Reno to pick up an application for a free orientation, or call 775-856-0169 for more information. Women encouraged to apply!